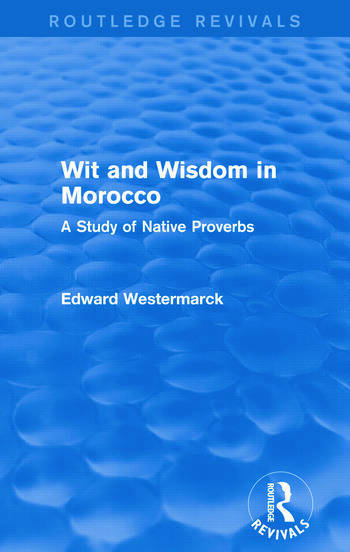 First published in 1930, this is the final of Edward Westermarck’s trilogy of titles that explore the society, culture and customs of Morocco. Compiled from years of personal research and interviews conducted with local people, this collection of native proverbs addresses such cultural and ideological concepts as marriage and family, hospitality, goodness and arrogance, as well as sayings relating to certain periods, agriculture and weather. With a detailed introductory essay from Westermarck, this is a fascinating work that will provide invaluable insight for students and those with a general interest in Moroccan and North African history and anthropology.